Opportunity assessment is a great challenge for businesses nowadays. There are certain rules that should be followed when it comes to selecting a client. Tilting toward every opportunity you are getting is not the right way. Moreover, with this approach, there are chances that the company will get a non-profitable deal. So, what should be focused while selecting the right opportunity? Qualification is the answer to above question. There is a particular criterion on which the opportunity should be assessed to get the desired results. 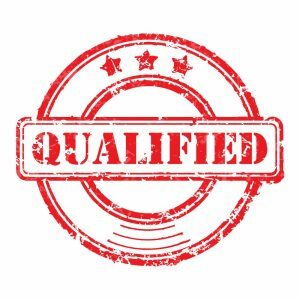 Qualification is the right thing every salesperson need to have for taking the right decision at the right time. Focusing on the idea that all types of opportunities are good for the business is not at all realistic. As the modern ways of workings are changing, so is the selection criteria of the clients. Moreover, the person should have the ability to determine the presence of right opportunities that will lead towards success, not a failure. They need to differentiate between an opportunity that will end up on death and the one that will continue to grow. This differential ability will have a significant impact on the success of a business. The S.C.O.T.S.M.A.N is a qualification and forecasting system that is so far accurate. This system contains eight different qualification elements that will be used for the assessment of the opportunity. These elements should be considered for every client. Moreover, if you can identify five or six of the elements out of eight, it will indicate that the customer should be approached. In the case of identification of fewer than five elements, it will indicate that the customer should not be approached. Note: This qualification system will not only highlight the potential buyers but also allows you in identifying the areas that should be converting. Is there any solution present that can be supplied or supported? Do the solutions match with your company portfolio? Be aware of your competitors. You need to offer something that is unique and original. Is the time limit reasonable? Do you have the details about the timescale? Does this timescale limit suits your company? The order should worth the effort. Is there any allocation of the budget? Is the budget reasonable or in accordance with the project? Are you in contact with the right person? Do you know the people who are involved? Do you have access to the higher authorities? Are the needs properly specified? Do you have the ability to fulfill those needs adequately? These are the eight elements of S.C.O.T.S.M.A.N qualification system. Keep that in mind that the qualification is not a single event, it is an ongoing process.